Intervention of each groups. (A) Intervention for electroacupuncture group. 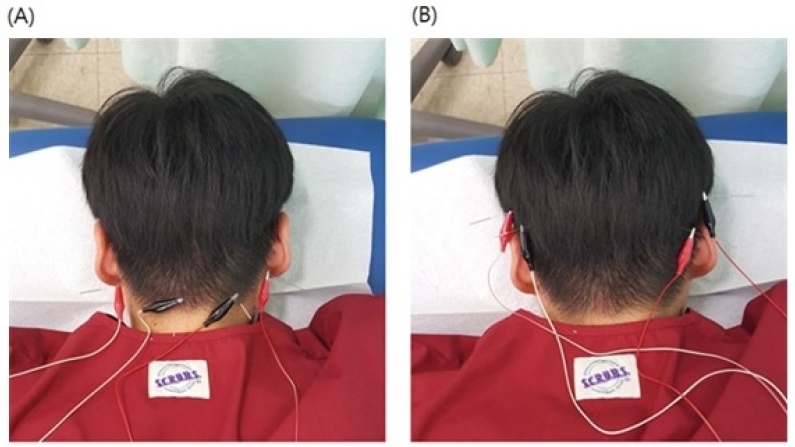 (B) Intervention for sham-electroacupuncture group.